The Home of Liberal Religion in the Tri-Cities and Beyond! Greetings! I am Valerie Stewart, a charter member of MPUUC and a current member of the “Transition Team”. 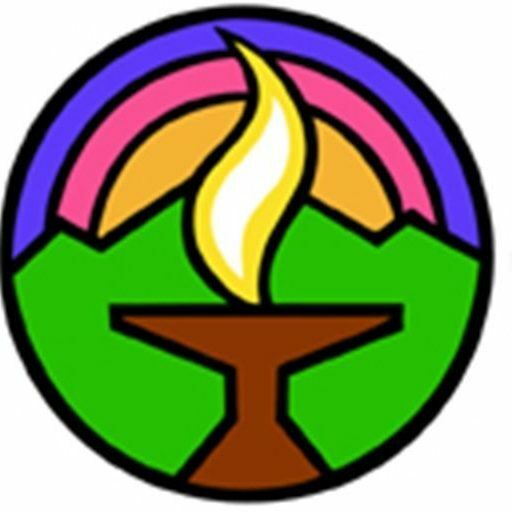 In case you have missed our earlier articles, we are a committee that assists our Interim Minister Jo Green in all aspects of her Interim Ministry at MPUUC – from finding a place to live when she moved from Pennsylvania to Fremont, to completing evaluations for the Unitarian Universalist Association (UUA) – the faith organization to which we all belong. I wanted to be on this committee for a very personal reason that goes back to our first Interim Minister, Howard Dana (1999). What is an Interim Minister??? Like Rev. Jo now, or Howard before her, this is a special type of ministry that is intended to be temporary in the life of a congregation. It is for an “interim period”….and then the minister goes away. While Unitarian Universalism does not have spiritual “rules”, no dogma or creed that we must believe to be UU, the UUA does have rules about how the ministers practice within the UUA. The UUA provides training to Interim Ministers to be with a congregation or fellowship for a period of time, during a transition time- like we are in now at MPUUC. The contract with an Interim Minister specifically states the Interim Minister is not allowed to become our permanent minister. These ministers help a congregation understand its values and goals and determine how it wants “to be” among its members, within the UUA, and within its surrounding communities and the world. And, with Rev. Jo’s leadership that is what we have been doing since she arrived last fall. We have another year together with Rev. Jo to explore, study and celebrate together – enjoy it! She has insight and compassion for how a person learns to live their faith. We can make great strides together! And then……. Rev. Jo will leave MPUUC. What I want to share with you is that when an Interim Minister leaves a congregation, they are really gone. I didn’t know that about Interim Ministers when Howard Dana left MPUUC- and we all really loved Howard, he was just what we needed at a difficult time for MPUUC. (We were his first congregation, he is now the Senior Minister at First Parish in Concord, MA.) The summer after Howard left MPUUC, General Assembly was at Long Beach, CA and I attended with my daughter Katherine, who was a young teen- and she loved Howard. I had emailed him and said what sessions we were attending and how much we wanted to see him -what I did not know- and I want you to know- is that UUA requires a period of separation between a congregation and a departed Interim Minister. It helps a congregation to really bond with its new minister, but I didn’t know that. Howard graciously avoided all my attempts at a reunion until after the required period. But, initially I was hurt- until I learned about the “separation”, then I was embarrassed. So, now you won’t be surprised, or embarrassed, and you can enjoy every opportunity to be with Rev. Jo while she is our Interim Minister at MPUUC. See you at Sunday Services! In this era of admiration of wealth and owning “stuff”, how do we get past the enculturation of the idea that our worth is dependent on what we have? How do we teach our children and others to have self-worth, to not only give money, but to give of themselves. This Sunday lets explore the art of giving, how it reflects on society and what the true reward can be. Leading the service will be Rev. Jo Green and assisting will be Worship Associate Megan McMillen. Jay Steele will provide our music. This year’s Canvass is well underway. Thank you everyone for coming to the Fellowship Dinner this weekend. Such a fun time! For our next event, we are asking everyone to sign up to attend a Canvass Dessert Party. These parties will give us a chance to gather in small groups to discuss pledges and our collective vision for MPUUC. There are several dates and times to choose from. You can see the times and sign up by filling out the form here: https://goo.gl/forms/26PIHC65RiJIPIIR2. If you signed up after service last Sunday, there’s no need to fill it out again. Pledge cards will be handed out at the dessert parties, please plan to turn pledge cards in at the dessert party or in the offering plate at church the Sunday after your dessert party. A quick glance at the budget (included in the brochure everyone received in the mail) shows that our income is less than our expenses. This shortfall makes canvass especially important. To help reverse this trend some members have pledged $6000 in matching grants for anyone who increases their pledge this year. So any pledge increase will go twice as far this year! Thank you for giving to Mission Peak! What are the plans for Mission Peak UU’s remaining transition time? Early during Rev. Jo’s time with us, our transition team and board met together (with the invaluable assistance of Terri King) and created an Excel document we’ve been calling a roadmap. We divided up our two transition years with Rev. Jo into quarters, and planned out various activities and when they should take place. This is helping both groups meet agreed-upon deadlines and gives us a bird’s-eye view of the many things that need to be accomplished. We have made and will continue to make some changes to it as we progress, but it gives us a useful framework. If you are interested in viewing the roadmap and asking questions, DeAnna Alm will have a few copies available after the service on Sunday, March 31st and will be happy to discuss and answer questions. If you would like to have a copy emailed to you ahead of time, please email deannaalm7@gmail.com and she will send you one. And it’s quite possible that you have some questions. What is our community partner, Day One, all about? What is the scholarship situation? What aspects of Environmental Justice will be emphasized? If so, Gina Collignon (The UU College of Social Justice’s Senior Associate for Immersion Learning Programs, and I will be available in my Zoom Room (linked below / zoom.us/j/4368623231) on Wednesday, March 27th for one hour 11 am PT / 12 pm MT to share a bit and then engage in some Q&A. Feel free to pass this email on to your youth and families. We will also record this meeting for those who can’t attend, but are interested in the program. Celebrating Mission Peak’s 25th Anniversary – Save These Dates!! 2019 marks 25 years of MPUUC’s existence as a congregation and we think that’s a milestone worth celebrating. We will have many different celebrations throughout the year. Please reserve the following dates on your calendar now. You won’t want to miss them! – Come celebrate the Charter that started it all with a special service and a Potluck BBQ afterwards. June 28-30 – MPUUC’s annual Campout! This year we’ll be back at Puma Point at Anthony Chabot Regional Park so that we are close enough for those of you who are not so excited about camping to join us during the day on Saturday, June 29. We will have many fun activities planned and will end the day with a potluck BBQ and campfire. – After the annual Water Ceremony at Cole Hall we will gather at one of the reserved picnic areas at Lake Elizabeth for a Picnic/BBQ celebration. We will have games for the kids, a jam session & sing-a-long, and other fun activities. Come join us and enjoy hanging out with friends & family and celebrating MPUUC. [More details regarding these events will follow closer to the dates. If you have questions or suggestions for additional events or you want to help with an event, please contact Jen King]. On March 10, 17, and 24 come see us at the Adult Ed table after the service and sign up for one or more of our spring offerings. We will have our popular recurring sessions and two exciting new courses: The Preacher In You, led by Rev. Jo Green, and Communicating With “Difficult” People- Some Strategies, led by Mark Rahman. Please note that we only accept online applications. Applicants who do not have internet access may use the kiosk in the Human Resources lobby. What Can We Do About Mass Incarceration? Can our faith guide us? Jose Bernal: Senior Organizer Ella Baker Center for Human Rights. S erves on the S.F. Reentry Council; advocates for restorative justice policies; spearheaded campaigns to de-privatize reentry services and end gang injunctions. Graduate of Stanford University’s Project ReMade program, a course aimed at empowering the formerly incarcerated. “While most of us see ourselves as ‘not racist’, we continue to reproduce racist outcomes and live segregated lives” Click here to read rest of article from The Guardian. Saturday, April 13 from 9 AM to 2 PM. If you are available, please join members from FUMC. FUMC is planning a light lunch about 12 noon in rooms 7 and 8. The Tri-City Interfaith Council (tcicouncil.weebly.com) is a grass-roots organization bringing together people of diverse religious beliefs from Fremont, Newark, and Union City (California). Rev. Jo Green, Rev. Barbara Meyers and Paul K. Davis are members. Join in! Calls can make a difference! Contact your representatives to alert them to your views!